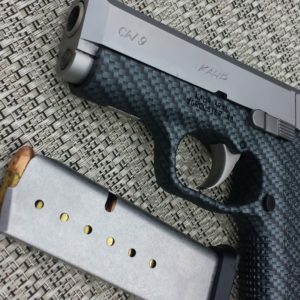 For years, I have been proud to call Kahr handguns my concealed carry handgun choice. 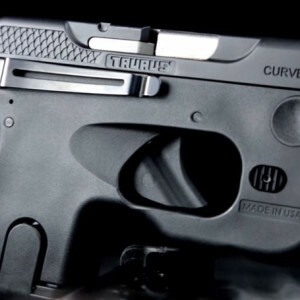 I just love the way Kahr handguns feel, shoot and they offer the slimmest and lightest models on the semi auto pistol market. I own several handguns from various makers however I am yet to find another model that I prefer to carry over a Kahr. They have been reliable, accurate and the craftsmanship is second to none. These qualities provide me the confidence to carry a Kahr, for many years now, without reservation. 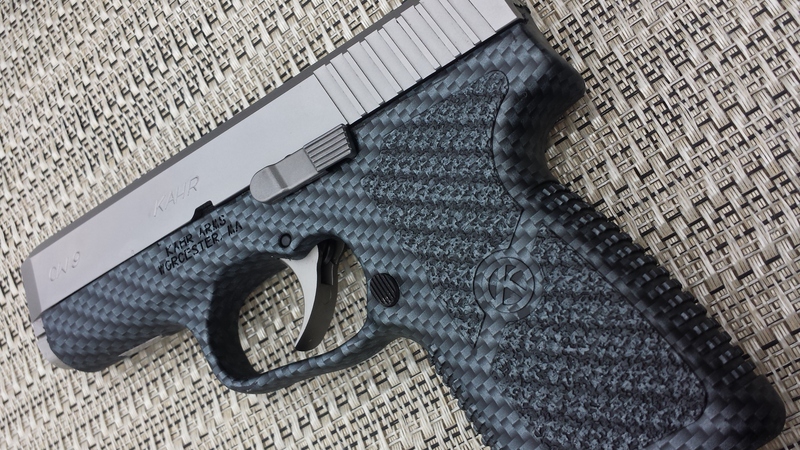 Enter the new Kahr CW9 with a carbon fiber finished frame. The carbon fiber finish on this frame is different than many others I have felt. This finish has a rubber feel to it which aides for a firm grip as if a rubber grip sleeve were added. Not only does the carbon fiber finish look beautiful, but the grip itself feels better. All of that aside, I love the mechanics, ease of use and slim profile that the Kahr CW9 offers for CCW. I had no intention of changing my Kahr CM9 as my concealed carry gun but after owning this CW9 and running several hundred flawless rounds through it, I think I need another holster. One of the first questions people asked when I featured this gun on video was, how much more does it cost over the standard CW9? Well, based from the MSRP costs, the carbon fiber finish is $46 more however when I searched online, the average price was around $379. 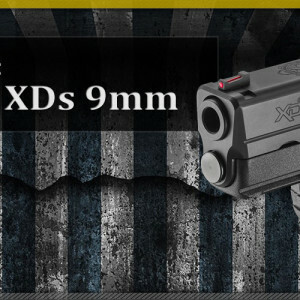 That puts this model in the same price range as the standard Kahr CW9. 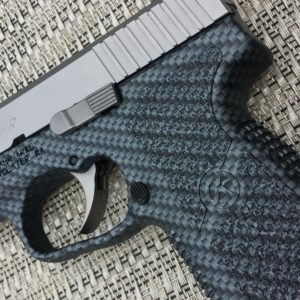 Whether one chooses the carbon fiber finish or not, $379 is an excellent price for a quality handgun like this. The slim profile of the Kahr CW9 makes it amazingly easy to carry. 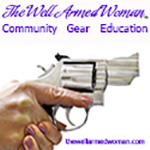 From the single stack seven round magazine to the .90 inch slide width, the CW9 is very thin. The grip has aggressive texturing on the front and rear while the grip panels are fairly smooth. My average sized hand is able to grip the gun with all three fingers for complete control when shooting. As mentioned earlier, Kahr handguns are very light as this CW9 weights only 21.75 ounces fully loaded with seven rounds. Kahr typically uses a bar­dot sight system however this CW9 has a 3­dot system. I shoot well with either sight picture but the 3­dot system is a nice change of pace. The rear sight is a drift adjustable metal piece and the front sight is pinned polymer. Night sights are available for Kahr handguns as they use Tru­Dot night sights which are very bright in low light. I have those installed on my Kahr PM45 and love them. Kahr handguns use a double action only (DAO) trigger that is incredibly smooth. I truly appreciate that Kahr handguns have the same trigger pull and poundage with all of their models. My trigger gauge measures the trigger pull at 6.5 pounds consistently. I own several Kahr handguns and the trigger pull feels the exact same whether it’s the CW380 or the PM45. 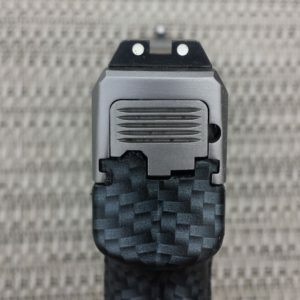 I like the consistency of the triggers for ability to train with any Kahr handgun while expecting the exact same trigger pull. 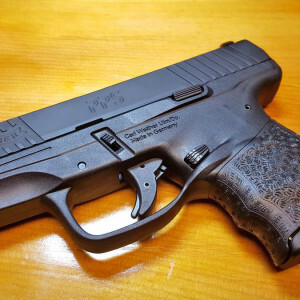 Kahr Arms announced “Gen 2” models that will have a 30% decreased trigger travel along with a trigger bar installed however at the time of this review (July 2016) the Gen 2 models have not been released. 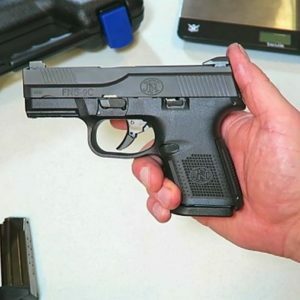 .380 acp or a larger .45 acp. The minimum amount of “muzzle flip” is preferred to stay on target for follow up shots. Kahr handguns have very low felt recoil. The tight recoil spring aides in keeping the Kahr handgun a smooth shooter. When charging the gun, one may notice the tight recoil spring but that very spring helps keep the shots on target. The “felt recoil” of this CW9 is minimal even with it being one of the lightest semi auto handguns on the market. My shooting impressions for the Kahr CW9 have been excellent. I have several hundred rounds through the gun and have yet to have a failure. 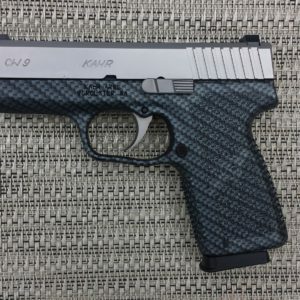 Kahr recommends a 200 round “break in” period for their handguns however this CW9 felt “broken in” right out of the box. As previously mentioned, it shoots incredible smooth. It has been accurate, extremely reliable and a pleasure to shoot at the range. 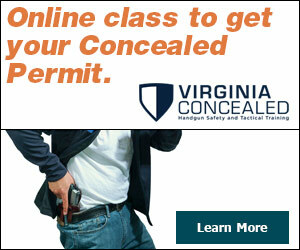 To field strip the Kahr CW9, remove the magazine and assure the gun is unloaded. Observe a slight line marking on the forend of the slide and another near the forend of the frame. The slide will need to be pulled back approximately a half inch for the markings to line up. At that point, with the base plate of the magazine, push the opposite side of the slide stop and pull the slide stop pin out of the frame. Then by pulling the trigger, the slide will release from the frame. The recoil spring is uncaptured and very tight so one must be careful to hold it tight when removing the recoil spring and stainless steel guide rod. The barrel will easily pull out completing the process. To reassemble the gun, simply perform the same process in reverse order with the exception of pulling the trigger. Overall, I have to say I really enjoy this Kahr CW9. 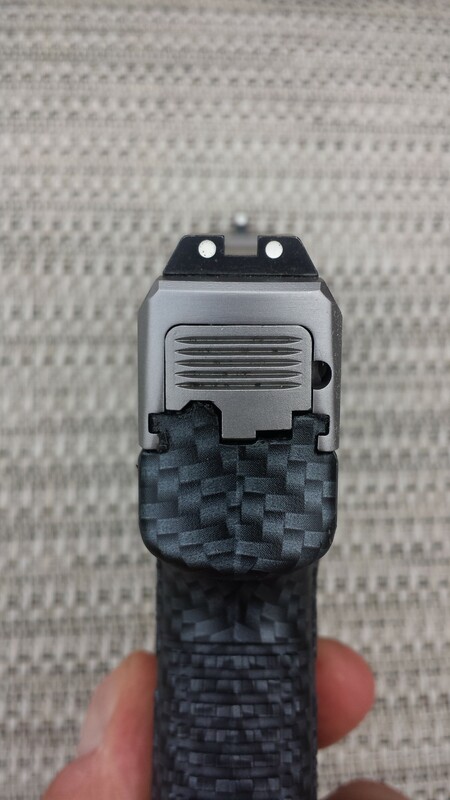 I think the gun looks outstanding with the carbon fiber finish on the frame and stainless matte finish on the slide. That aside, the gun performs excellent. 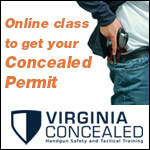 When considering a gun for concealed carry, most people are interested in reliability, excellent mechanics and ease of carry. 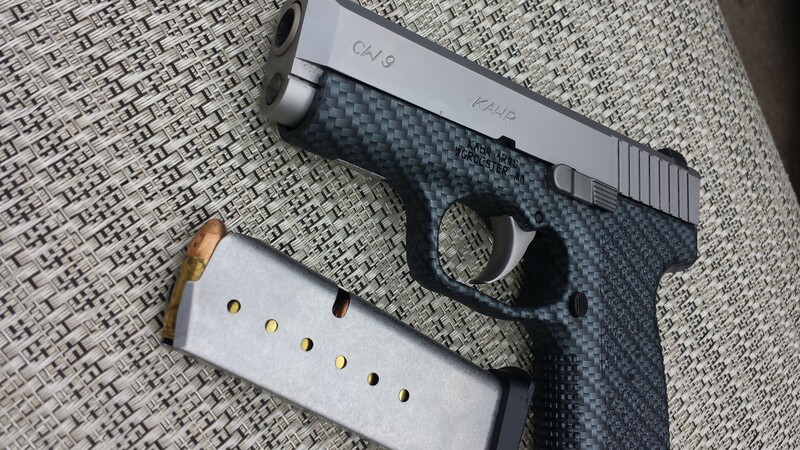 The Kahr CW9 provides these qualities at a very affordable price. Ok, I admit it, I’m a huge fan of Kahr Arms and this CW9 only increases my love for these lightweight striker fired beauties that I just love to shoot. 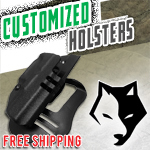 Yeah, I definitely need a new holster.